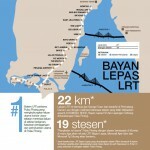 The proposed Bayan Lepas Light Rail Transit Line will covers a distance of 30km and 27 stations. 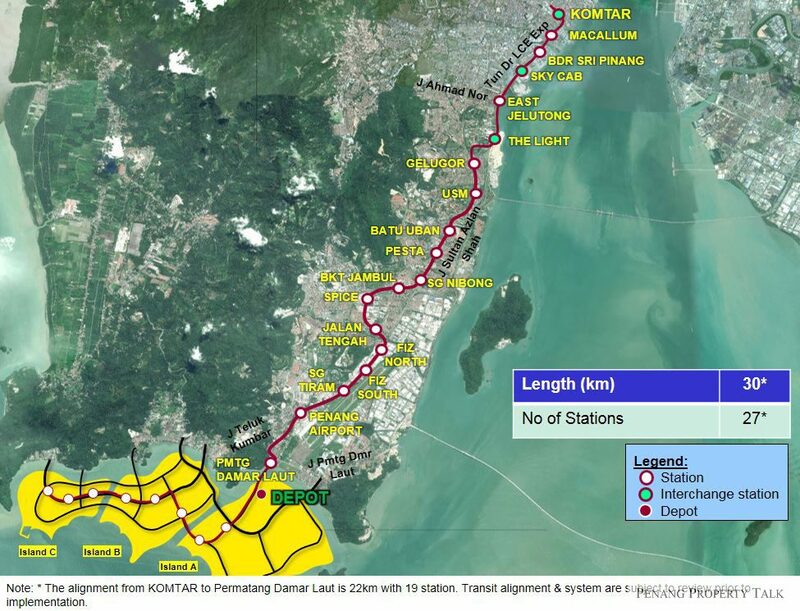 Of its 27 proposed stations, 19 are to be in Komtar, Macallum Street area, Bandar Sri Pinang, the future Sky Cab station, East Jelutong, The Light Waterfront, Gelugor, Universiti Sains Malaysia, Batu Uban, Pesta site, Sungai Nibong, Bukit Jambul, Subterranean Penang International Convention and Exhibition (SPICE), Jalan Tengah, FIZ North, FIZ South, Sungai Tiram, Penang International Airport and Permatang Damar Laut. 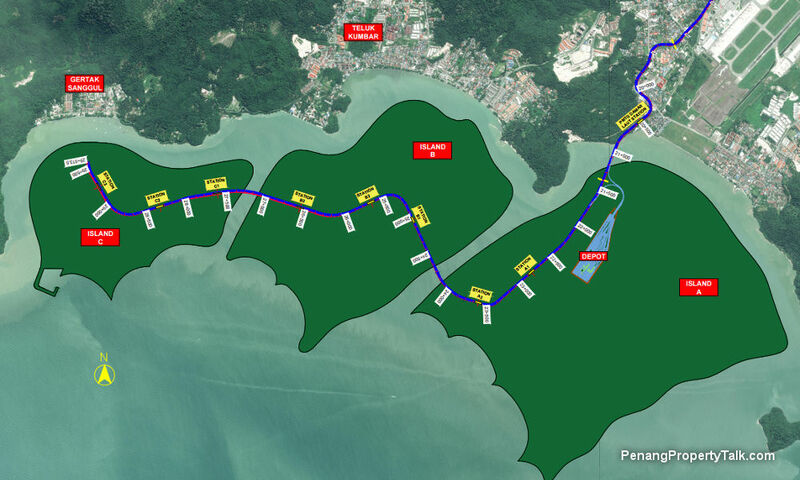 Eight more stations are planned for the three proposed islands to be reclaimed off the southern coast. 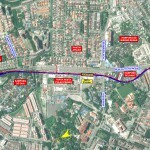 The Bayan Lepas LRT will also have interchange stations connecting three more future LRT and monorail lines still on the drawing table. 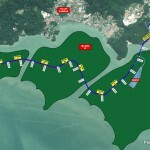 They are the Gelugor-Butterworth LRT across the sea, the Paya Terubong-Komtar monorail and the Tanjung Tokong-Komtar monorail. 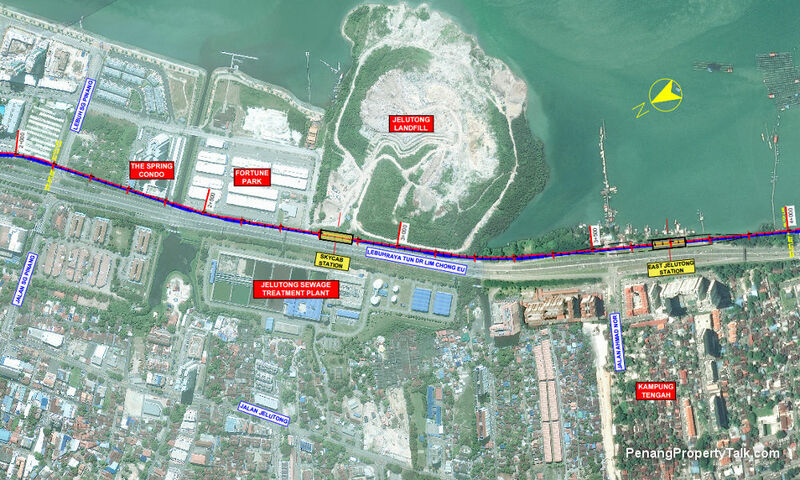 The route will also be integrated with public transport services in Sungai Nibong Bus Terminal and Penang International Airport. 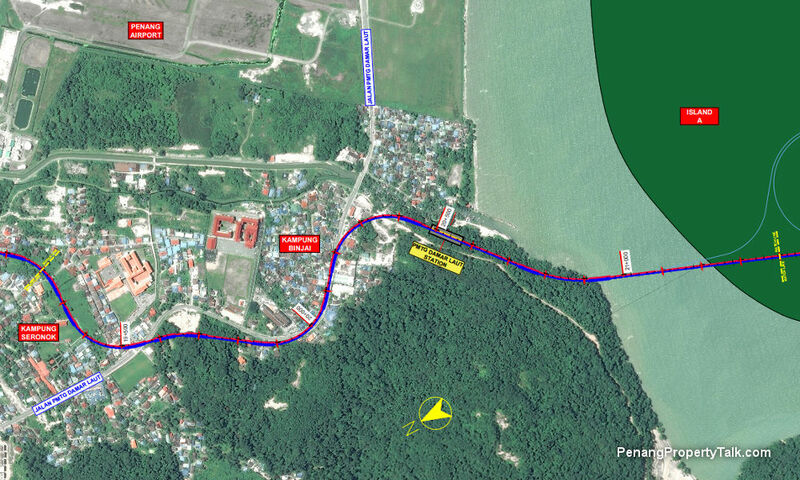 I found it surprising that the line does not cover Phase 3 and Phase 4 of the Free Industrial Zone (FIZ). There are a lot of multinational companies at those areas, and there a lot of workers as well. Those workers are the potential users of the LRT. Bypassing Phase 3 and Phase 4 seem not the correct way to go….I hope they can rethink the route..
they need to consider the utilization of the railway, especially off peak hours and weekends. Being a neighborhood country of Thailand. This is a moment for us to shine BUT in a good way; and once if our gov strategies are wrong then its truly regrettably, and carries much worsen situation and inconvenience to every users. By looking at each every stop, the distance is very closed to each other. Hence, for sure the train fares is not going cheaper than bus. So, there’s a big possibility of big waste of tax payers money; as well it just benefited the project developers, contracted tradies for unnecessary in prolonged the progress. To make such a total of nearly 30 of train stations, it’s just look very absurb and it sort of creating benefits within gov and these builders. It certainly defeat the purpose to the user, I especially those who travelling to work by train and need to struggle everyday for every 3-5 mins stops each station, it just doesn’t help much in smoothing the flow. When numbers of stations are getting more, eventually gov will have to create more bus station routes facilities; again it’s a big waste of tax payers money. I think with 3mins each stop on every station is just killing times. In the end, users all rather back on the road again. I agreed with Jong Gim, it is really does not make sense to have stations so close to each other. This might make people abandon this option of transport. 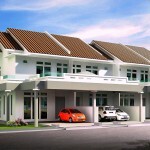 Do not just take recommendation from developer and have your own independent consultant to evaluate if this is viable. Their objective is to make more money only. YUP, fully agreed. LRT is good but too many station killing it. 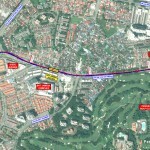 imagine 18 station from Komtar – Airport, each station spend 5 mins. 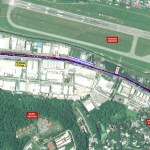 If you want to go to airport from Komtar, how long already? 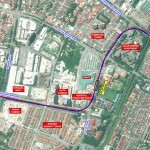 USM Station in front of the big field does not serve any good to the community in the campus as well as those in Jalan Sungai Dua. It’s a long walking distance to that isolated station. I cant fully agree with your points. 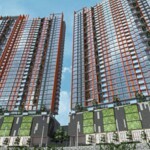 As along the Sungai Dua, Bukit Jambul and Bayan Baru are the high density of residential area, it will have a big volume of commuters travelling towards Bayan Lepas or Georgetown. 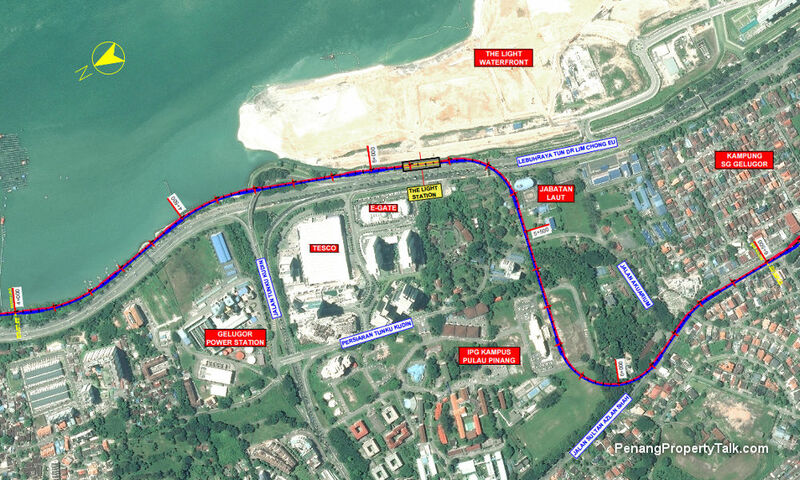 We cant just look at the commuters travel from Georgetown to airport but also have to concern on the daily commuters. 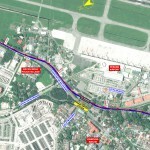 Perhaps there will be one express line cover from airport to town directly. Hong Kong MRT also something like this plan. there are two lines from airport, one is express one is normal. express is with less stations. 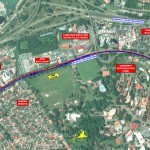 Construct MRT not LRT half bake rail transport. Thinking about the population growth in the next 20yrs. 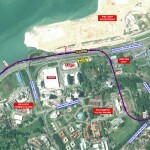 Hi all is the LRT project really confirm? Or just planning only? Yes, it is difficult to tell when things are going to take off. 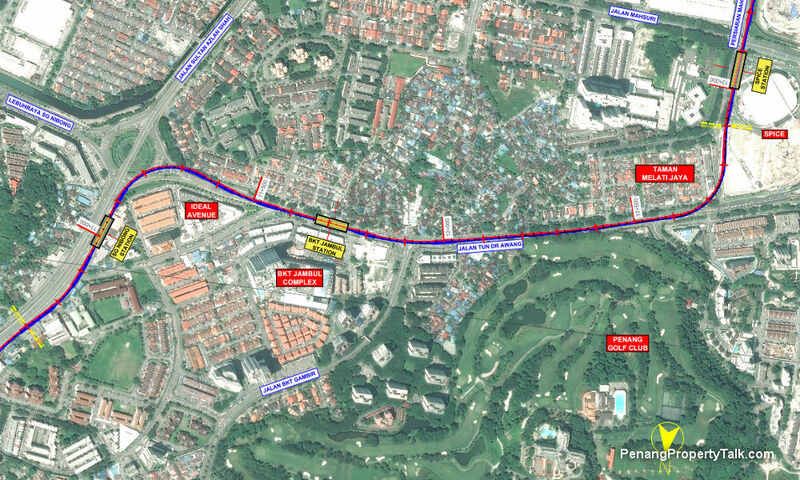 If I were you, I’d buy properties at good locations plus within walking distance to the planned LRT/monorail stations. If the LRT materializes, it’s an added bonus. If not, it doesn’t even matter as the property is at a good location anyway. 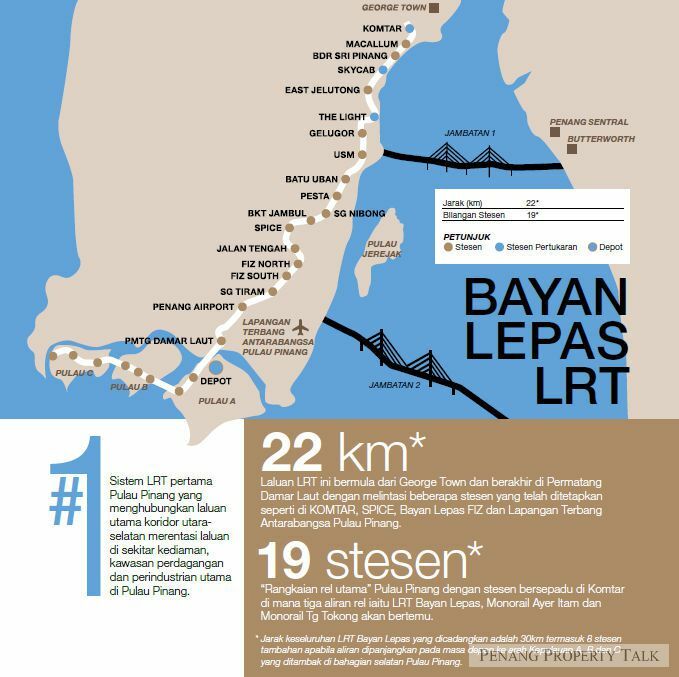 Not sure if the main objective of having LRT line with so many station is to create a big $ project to justify for reclaim 3 islands or is there real needs. A cost effective way and practical way may be to have BRT, building special land just for the BRT buses (like the Sunway BRT line). It’s more flexible. 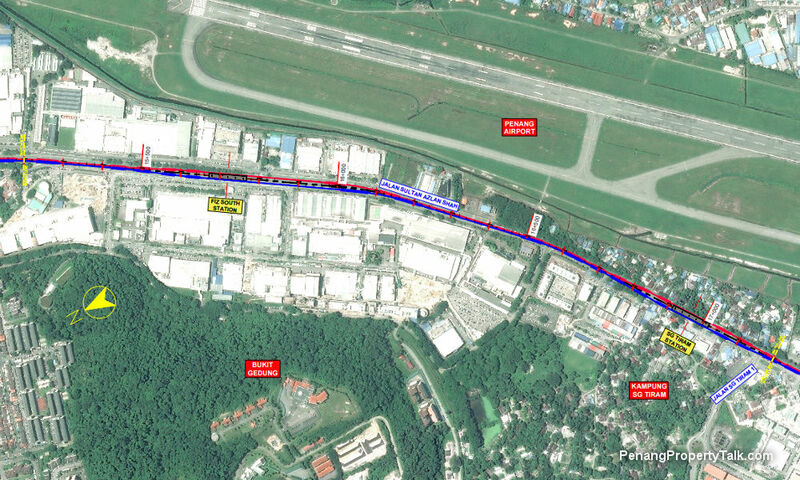 During peak hours, the special lanes will be closed of to public and only allow BRT (automated gate like in US and Europe), and open for public vehicles during non peak hours. 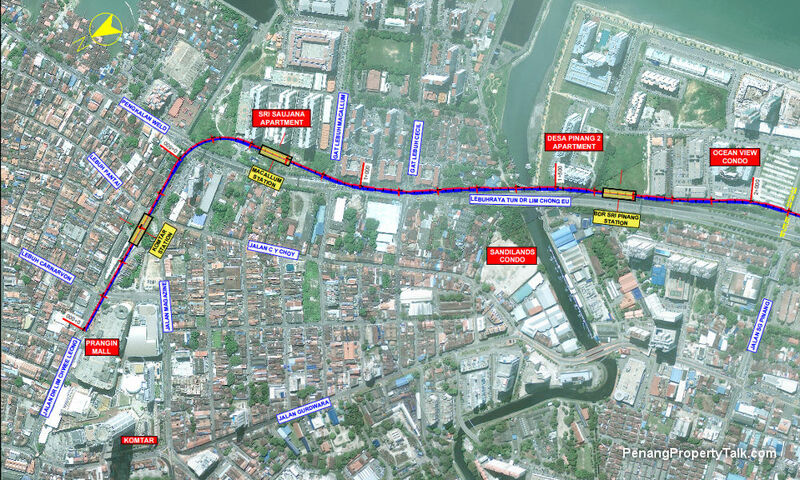 Penangites will use the BRT during peak and non peak. They drive two lanes and emergency lane all the times. Probably need to install siren on BRT (or NGO’s LRV) to request left & right vehicles to give way. Might work, like the old choo choo train. There are few systems installed in US and in European countries. either you can install boom gates at the entrance of the lane (of course the BRT lanes has separators from normal lanes) or cameras installed. BRT buses are installed with RFID and GPS. If non BRT buses detected during peak hours, camera will capture the picture of the vehicle and heavy summons sent to vehicle owner. Lots of countries have done that… not sure why Penang cannot??? If you familiar with LRT in KL, you will notice most stations do not spend more than 5 min. Just let the professionals do their job. they surely know better than us in the planning and design. Of course all these are only empty talk if the federal government doesn’t approve it. 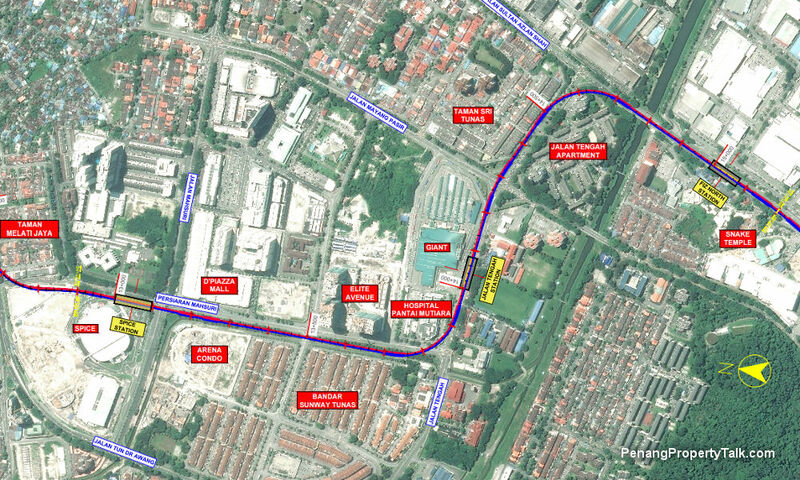 Chances of getting LRT remain slim as this is planned by DAP. Approving it will make it look good on DAP and bad for BN. That’s the political reality in Msia, oppose just for the sake of opposing, and that goes for both ruling and opposition parties. In fact (I know most readers here won’t like to hear this), it’s even worse when it comes to DAP (in my view). But anyway, we are just tax payers, our job is to make sure there is a good check and balance, regardless who runs the state. 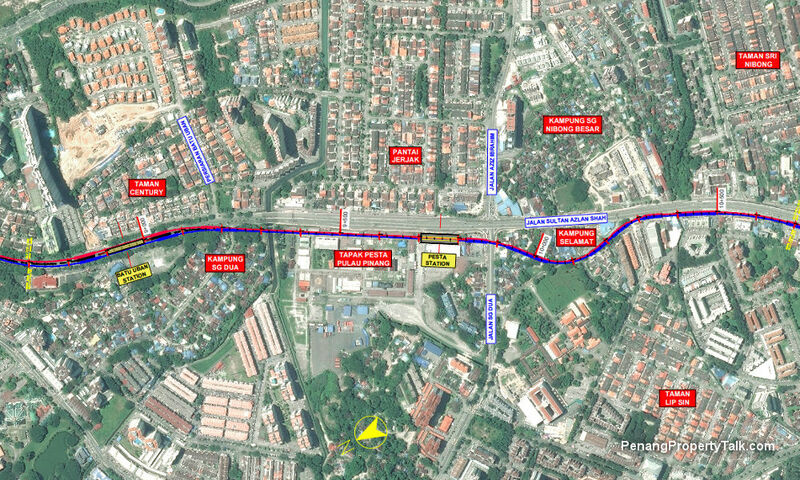 Bayan Lepas LRT & Georgetown-Butterworth LRT should be build and completed concurrently as Phase 1 along with the 3 PIL road. Reason are mainland folks need to ride flight at Bayan Lepas and island folks need to ride ETS to KL. It will maximize the main bone of the ridership for all Penang folks convenient and fast Return On Investment ROI to the government. 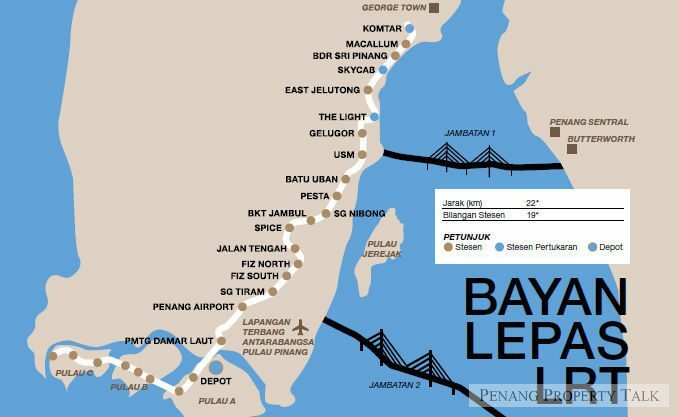 Not only that it will boost the tourism convenient from all state especially those travel from the North (Kedah, Perlis, Bangkok…etc) get in Penang Sentral to reach island for food heaven & heritage. 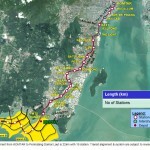 In next 5 to 10 years we see mainland will be next driven economy to Penang so the monorail line Raja Uda-BM should be build under Phase 2 along with BRT & road upgrading. 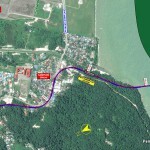 This is the best time to develop mainland while it is still got room to play and not fully pack with major integrated development like island where lot compensation/land acquire require costly to Penang government. 30km for 27stations is very logic and well planned actually. The correct way to plan the public transport as a whole is try to make everyone can access the public transport within 400-500m walking distance. 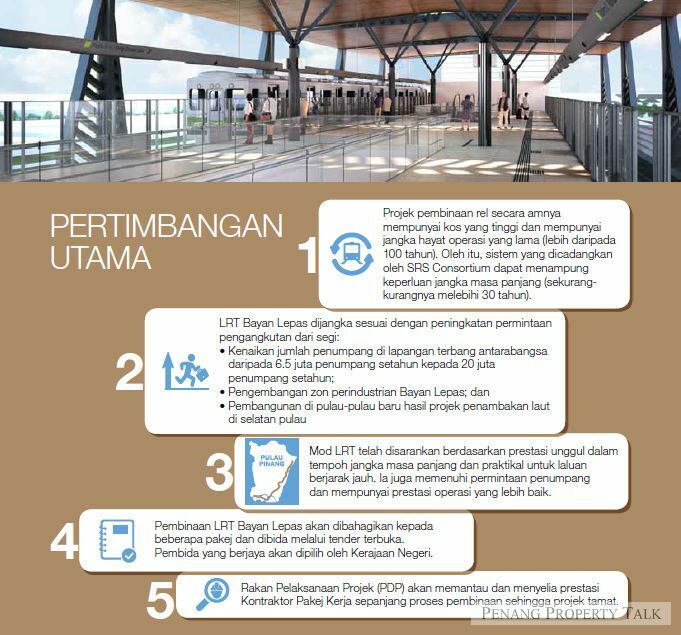 PTMP already stated that the government should build a public transport facility like Bus Station or LRT station in at least every 400-500m for a walkable city. 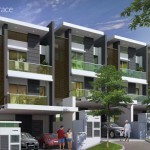 Take a look at Singapore, in the next 5-10years. 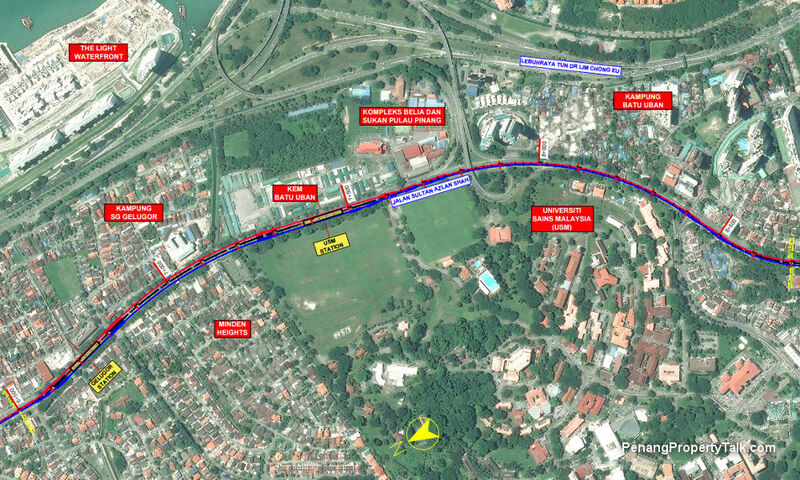 All the Singaporeans can access to at least one MRT station within 400-500m of walking distance, which means no matter where you go or stay, you can walk to a MRT station with a maximum distance of 500m. Another example is the most success MRT in Asia, Taipei Metro. Distance between each stations for all the 7 Metro lines is about 1km, ie WenHu line (1996) is about 25km for 24 stations. 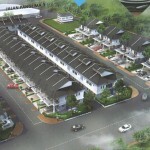 Penang Island is a city with high density and scarcity of land. 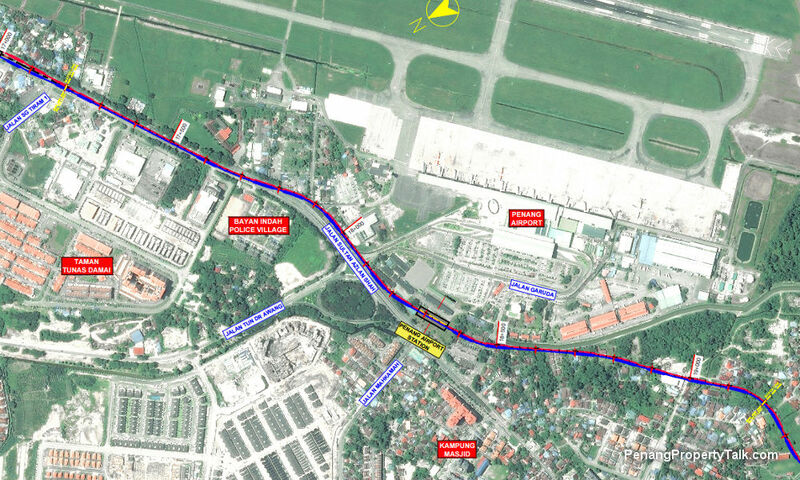 Bayan Lepas LRT line is going to be a main backbone for Penang Island, the corridor along the railway is gonna to be high dense, but develop in a “healthy” way. All the people who stay in the LRT station corridor, they can walk to the station within 500m (10mins walk) if they can find a proper pavement and zebra crossing with tree as shade xD. 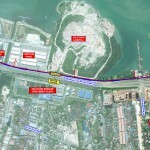 Penang is not like KV with terrible urban sprawl… KL Cincai built a MRT line, easily hits to 50km with just 30stations… 20billions LOL And most of the stations are surrounding by Highways without proper pavements, a lot of people need to drive their car and park at the so call Park&Ride Car Park(RM5-10 of parking fee…), which P&R already been proven is a failed or not so right of plan at other countries… And I just got a sad news from my friend, their daughter got killed in car accident, while she was walking to the LRT station on a highway without proper pavement. Please also make sure the walk way for pedestrian is safe enough and really covered. The recent MRT I took in KL, really surprised me with the bad inconvenient walk way and I must say it is dangerous. PETALING JAYA (Sept 6): The light rail transit (LRT) may not be the best solution to ease Penang’s traffic issues, said Transport Minister Anthony Loke in a Malay Mail report. He said studies have shown that the rail system was not the most appropriate choice for the state and his ministry is seeking other modes of public transport. The Land Public Transport Commission (SPAD) has suggested alternatives such as a tram system, said Loke. I am not a malaysian but a Singaporean. 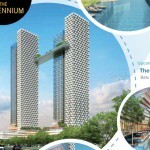 Till now Penang claim to be a best economic states in malaysia. I have not visited Penang for last ten years. Thing may be changing so I am cautious whether it is necessary to built the system or not. 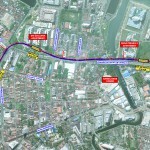 I just came back from Ho chi minh and their Metro rail system almost completed although delay . Vietnam have such a huge population and when I first visited in 18 years ago, I told myself they should have built the system 10 years ago instead of spending money on defence and industrial projects to improve their economy, now finally they have the system almost ready. Their problem too much motorbikes and accidents all day. They borrow from ADB to finance the project. To built the system is based on giving people have a better life instead of calculating whether it is worth it or become a white elephant. The future cannot predict and we can predict the people life how much they can live.